Hello Linux Geeksters. 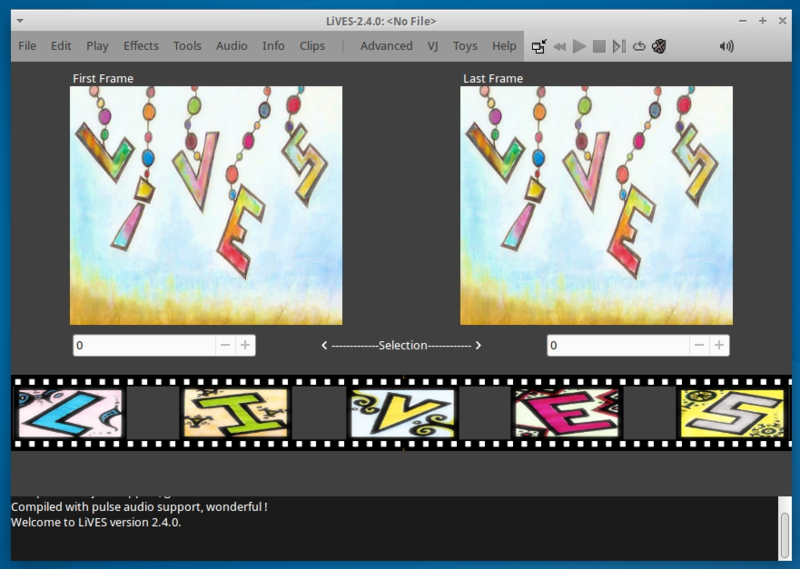 As you may know, LiVES is an open source video editor and VJ tool, enabling the users to easily add effects to more than 50 audio and video formats. Implement workaround for expose event problems in gtk+ 3.10. Fix threading crash in multitrack. Fix invalid saving of layouts in multitrack. Fix sizes of scrolled windows inside dialog boxes (regression). Fix timeline start position for gtkgrid widget in multitrack. Fix “fade background mode” (b) so it looks nice again. Stability fix for expose event during startup. Stability fix for mkv_decoder with broken end frames. Implement C++ language bindings (liblives). Fixes for several smaller issues (Thomas Berger). Updated translations to UK English, French, Galician, German, Russian and Simplified Chinese. In this article I will show you how to install LiVES 2.4.0 on Ubuntu 15.04 Vivid Vervet, Ubuntu 14.10 Utopic Unicorn, Ubuntu 14.04 Trusty Tahr, Linux Mint 17.1 Rebecca, Elementary OS 0.3 Freya, Deepin 2014, Peppermint Five, LXLE 14.04, Linux Lite 2 and other Ubuntu derivative systems.